Beluga whales are sensitive mammals. Experts believe they do not like to be touched by artificial materials such as diving suits and guess there may be more chance of striking up a rapport with them without clothes as a barrier. 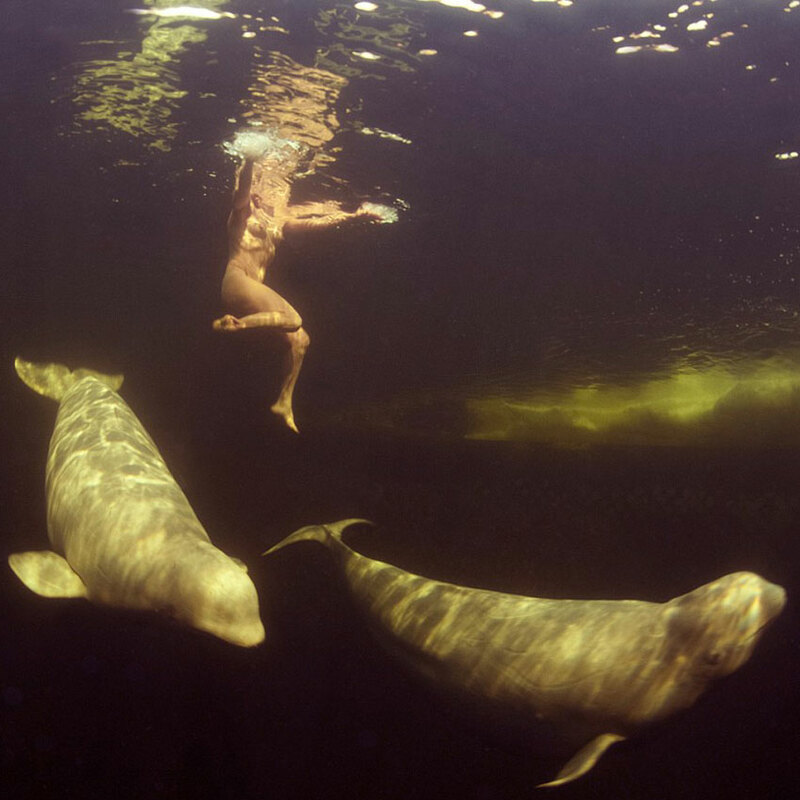 So scientist Natalia Avseenko stripped naked to swim with the whales near Murmansk in northern Russia. She used yoga techniques to hold her breath in water at minus 1.5°C.